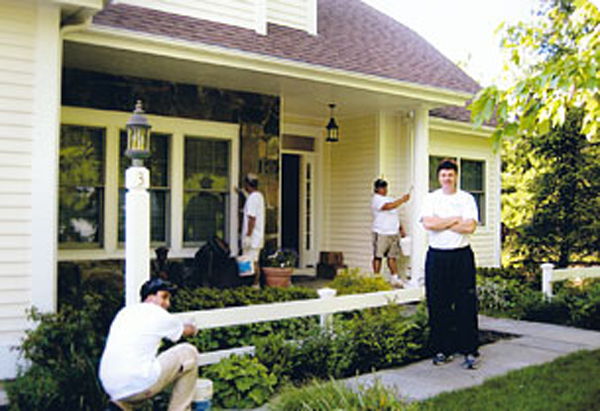 Jim Avery, owner of Precision Painting of Westchester, Inc. has been in business since 1983, successfully providing unmatched quality, customer service and attention to detail in all aspects of contracting and completing interior and exterior painting for both residential and commercial clients. Within 24 hours of an appointment, Jim provides a detailed estimate which describes each step of the job from start to finish. Every project presents a unique situation and Jim's expertise in the painting and design business enables him to inform each client on the different materials and finishes, so their final decisions are made with confidence and complete satisfaction! Voted "Best Painting Contractor" in Westchester Magazine, Precision Painting of Westchester, Inc. continues to provide a perfect job every time! Precision Painting of Westchester is insured, licensed and EPA certified, serving residential and commercial clients in Westchester County. Call today and we will gladly set up an estimate at your earliest convenience! © 2018 Precision Painting of Westchester, Inc.